Hello all! Thank you for your loving support of Plaid Week! It has been so fun to see your spin on the coloration and size in the Facebook group. 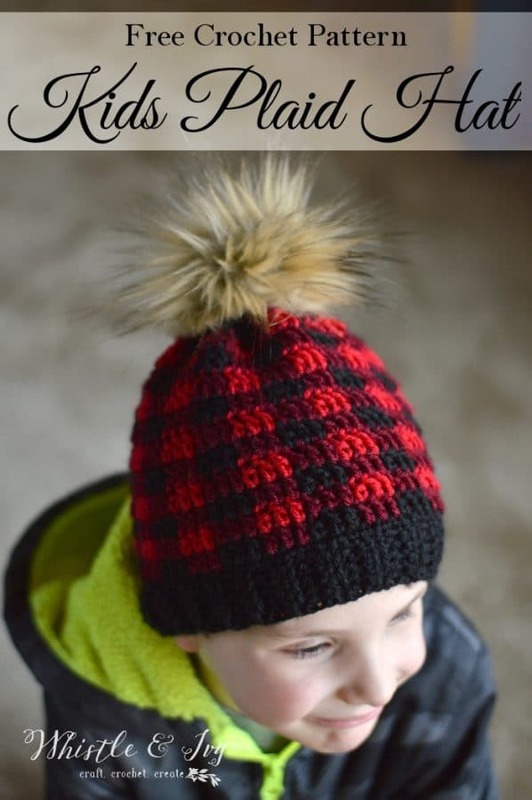 Today, I am sharing the patterns for a child and toddler sized crochet plaid hat. These were the most requested sizes, so I am happy to be able to oblige! In case you missed it, you can get the adult-sized slouchy pattern here. 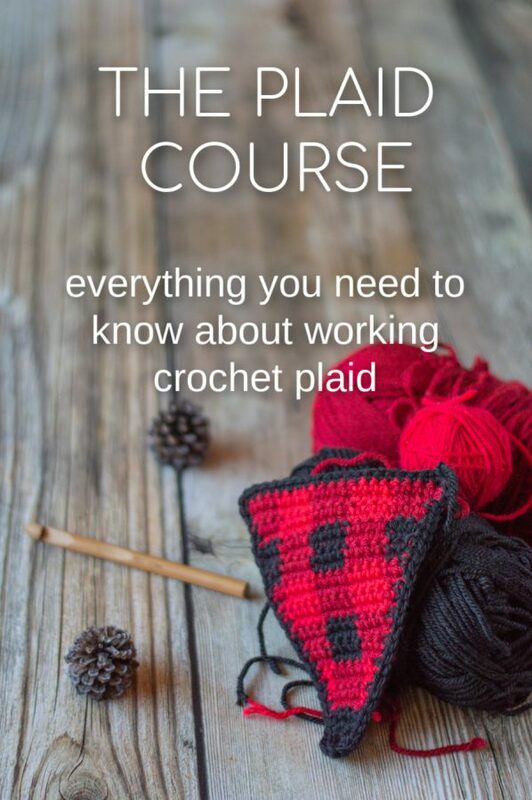 For tips on working the Plaid Stitch, watch this video. Band should be 13″ unstretched. Fold band in half and sl st the two short ends together. Fold the band right-side out, and orient so the loop is on the top. Continuing with black, ch 2. 11. Working with your dark yarn only: Ch 2. Dc2tog 33 times. (33 sts). Tie off, weave in ends. Band should be 14.5″ unstretched. 13. 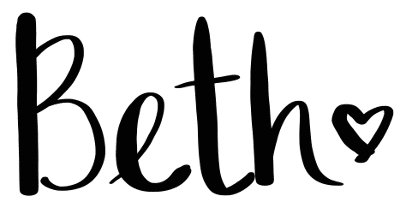 Working with your dark yarn only: Ch 2. Dc2tog 33 times. (33 sts). Tie off, weave in ends. Turn your hat inside out. Close your hat by sewing a loose running stitch across the top. Once you have sewn all around, pull the yarn tight, cinching the top closed. Tie a firm knot and clip ends. Sew on a pom pom if desired. You can buy a fur one like mine here, or make your own yarn pom-pom using this tutorial. OR you can make your own faux fur pom-pom. 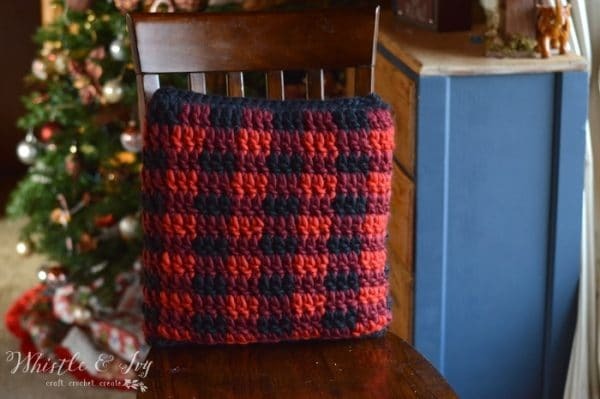 Don’t miss a plaid pattern! Follow me on Facebook and join our Facebook group! The length is most important! Thanks for this easy to follow pattern! I have made two so far, on dark pink, light pink and white and the other dark grey, light grey and white. Both are great looking! My problem with. Oth isnthat they have no stretch at all. I have been using Red Heart Super Savor and Bernat Premium. I don’t think I will be able to get them on a little person when no stretch at all. What have I done wrong? Which yarn would have a nice stretch? Am I crocheting too tight? 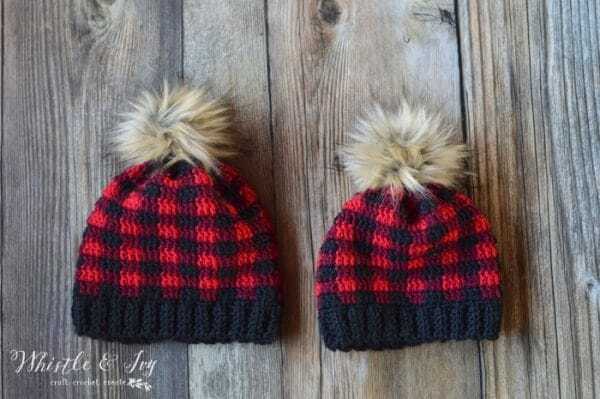 One hat is about 6 stitches per inch and the other is 5 stitches per inch. It’s possible your gauge was too tight, the gauge was 8 sts for 2″, so your hats are both tighter than mine. Also, I find super saver to be very stiff. Red Heart Soft has much better stretch to it, and I love the Knit Picks Brava, it has a lovely stretch and soft texture. 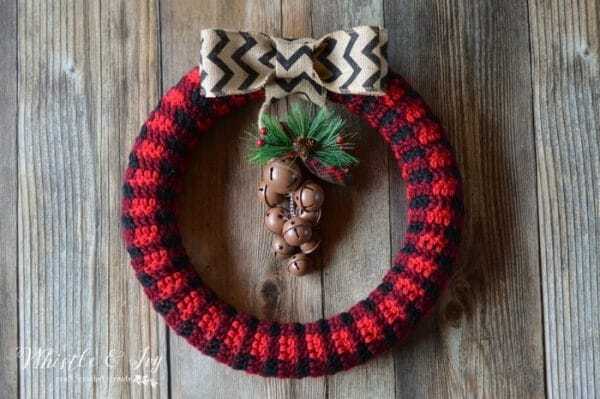 Thank you so much for this free pattern and your video showing how it’s done. I made one for a special boy and it looks awesome! For the brim on both sizes, what are the measurements after you fold in half and connect? I got the correct brim length (13″ and 14.5″ unstretched) but I feel like it looks so small! When I folded I was at about 7 inches length wise for the toddler size brim…is that too small? What yarn are you using? It’s should stretch 2-3 inches. I used Red Saver Soft. It does stretch, I may have been over thinking it. Thank you! I find that yarn to be not very stretchy at all, personally! Something a little softer may work a bit better, but try it out and see! Like I said, the brim should stretch a couple inches at least. I would like to add that it does not say to fold in the child pattern. Do I fold it? What brim length should I make for 6 month old? I was thinking 15 inches but the toddler size says 13 inches and that one fit my daughter perfect so Would 15 inches be way to big for a 6 month old? Is your daughter a toddler? 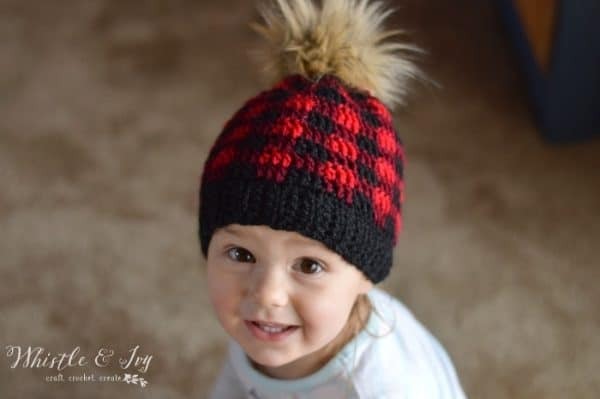 If your gauge and yarn are the exact same as the toddler hat you made for your daughter, I would make the brim about 2 inches shorter for a 6 month old. 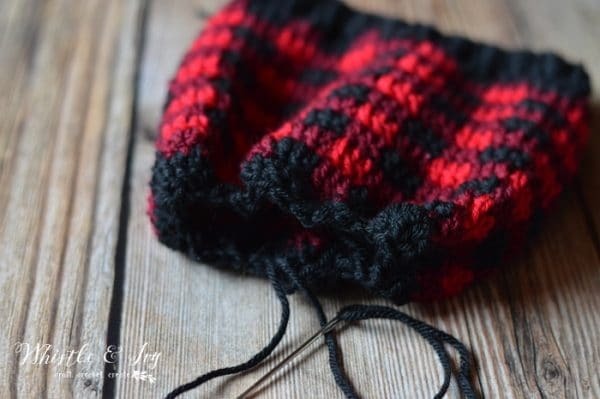 When doing the plaid stitch for toddler size, is it DC ? I used hdc. I have learned (based on the many, many comments) that the gauge is hard to get, because it’s stretchy ribbing and even if you meet the gauge, it may not be the same. I can’t explain it, but that is what I am hearing from people. Just make your ribbing about 17 1/2″ when you GENTLY pull the piece taut. 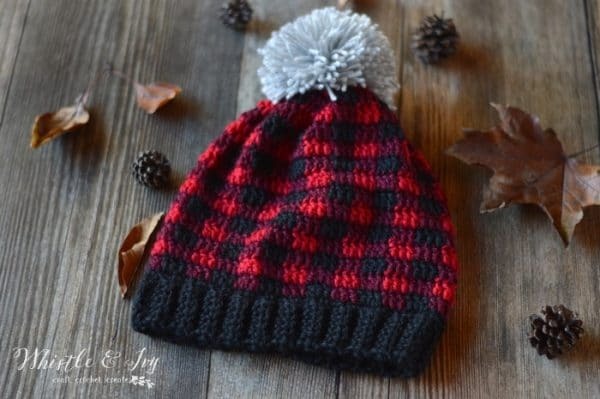 I saw this question posted above with the alternative baby trapper hat option, but I have a friend who is requesting this plaid hat style in size 6-12 months. 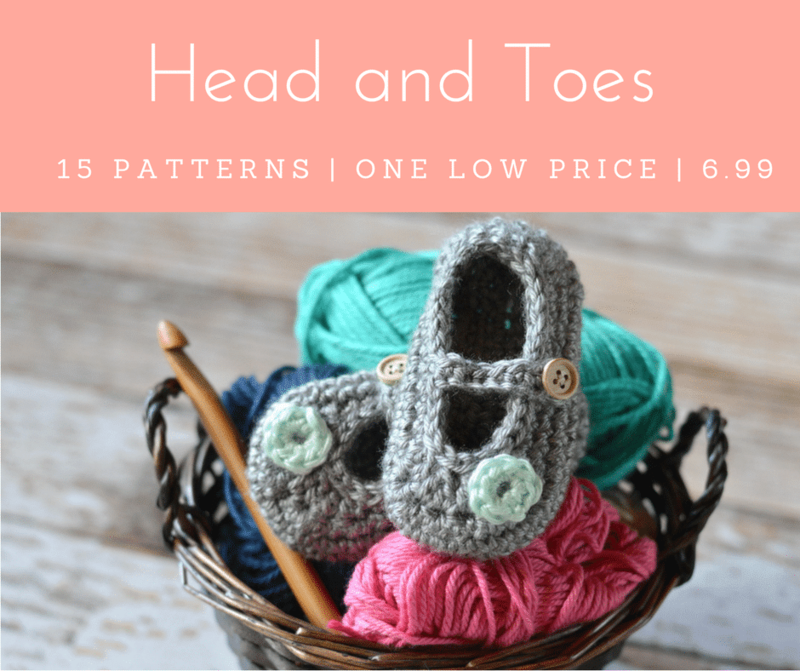 Do you have any suggestions for how to modify the stitch counts from the toddler/smallest size to baby sizes (not the trapper style)? Thank you in advance! Yes! You can simply make the brim smaller (less rows). It would completely depend on your hook, gauge and yarn on what the exact numbers would be. Then I would go down 6 sts, so try 60 around and see if that gets the size you need. If one wanted to do a 3-6 months would you recommend taking off another 6sts? Having 54 instead of 66? Yes, I think that would work! Do a measurement after the first few rounds so you can make sure it’s the right size. Hi Bethany. How did you attach your pom Pom? Hot glue? Sew it on? Thanks! Sew it! I have a tutorial coming this week! Hi Bethany, I absolutely love this pattern. Very easy to follow! 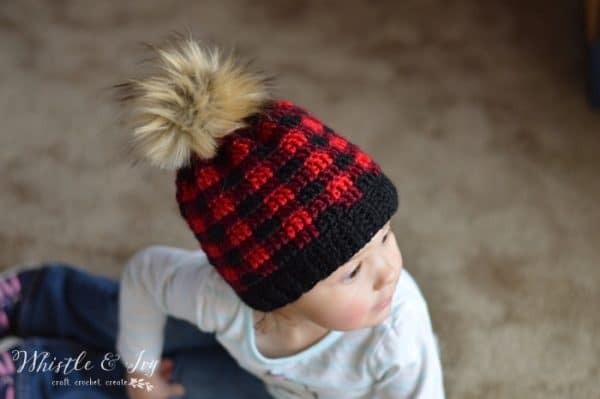 I want to make this style of hat in baby sizes (0-3m, 3-6m, 6-12m), do you have any suggestions on the hook, or perhaps the amount of stitches I can do following this pattern. Hi Bethany – I’ve been wanting to try a buffalo check pattern and yours seems the best, especially with the videos. Would you mind giving me your opinion on colors? 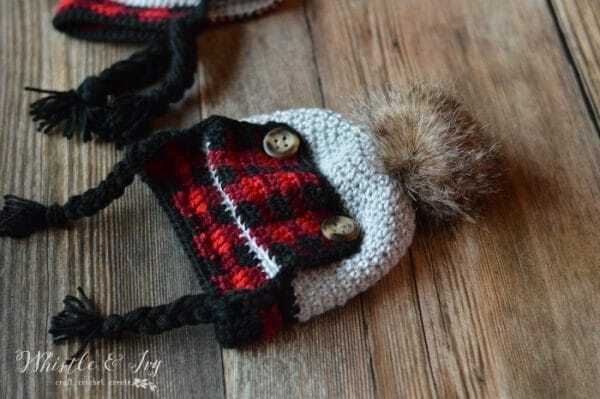 I want to make a toddler hat using white, light blue, and light gray. Do you think theses colors would work? How would you assign them to dark, light, and mid? Thanks! I think that would be pretty! Maybe have the gray be the mid. You can try a few rows and see if you like it! Thanks for your quick reply. I can’t wait to start this project. I’m in love with this pattern. 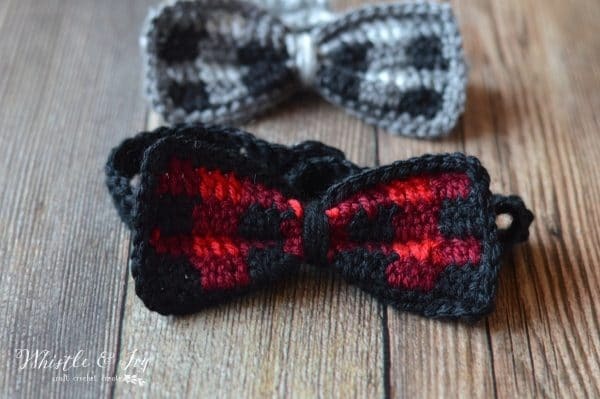 I just finished a second one for myself, but i did it in white, grey and black plaid. Just curious, do you have baby sizes? Have you made a child sized one that was slouchy? I was thinking maybe add a couple more rows and obviously not decrease. 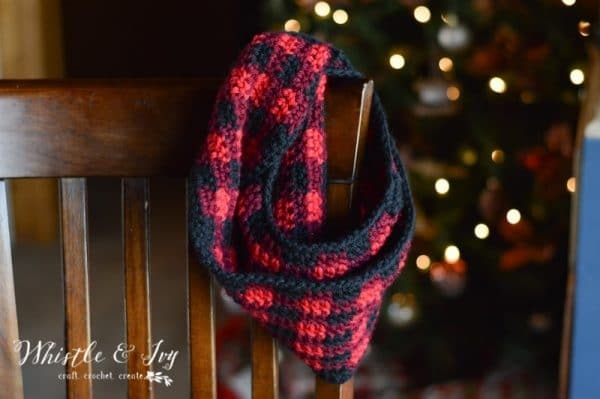 I have made two of the slouchy one for me and my sister but her kids want slouchy too! That would be so cute! 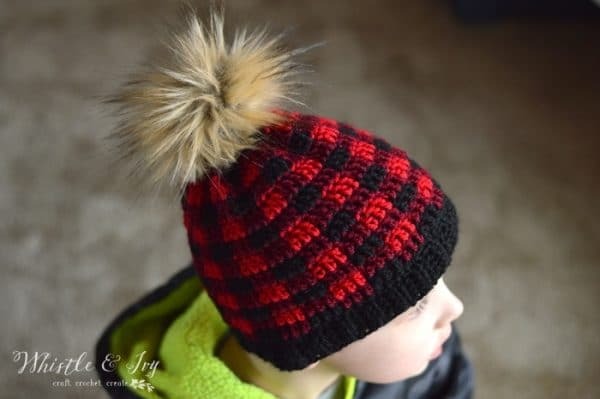 I have but I get mostly requests for non-slouchy hats for kids. I think they are adorable slouchy on kids, though! So would those modifications be all that you would think need to be done to this pattern to make it work? Oh I misread your comment! sorry! I haven’t actually made one, I thought you said have you THOUGHT of making one. It should work, I think. You could still do a round of decreases, to make it less heavy at the end, so it stays on better. I’m having trouble with joining different colors when ending a round on making it liook neat. Any advice? 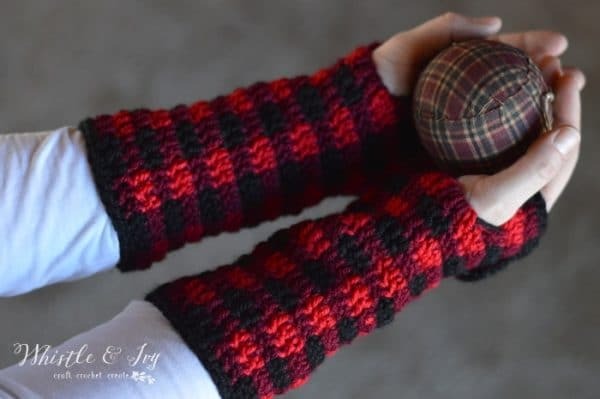 Love this pattern and thank you so much for sharing it. You can finished the last st with the color you will be changing to, and sl st with the same color. It makes it look a bit neater. The seam will never be perfect! 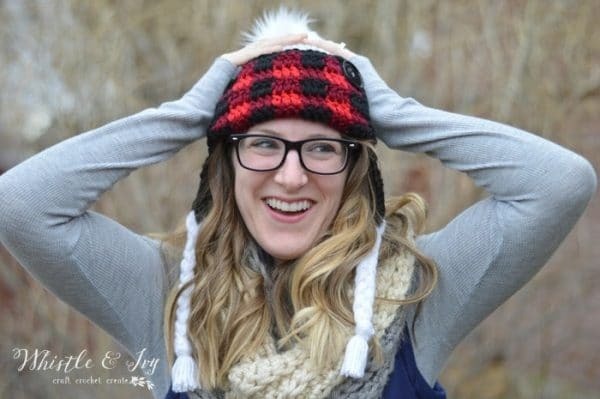 I love this pattern and hat! How many fows for an adult size? Thank you!!! How many rows if you don’t want it slouchy? Love this hat!!!!!!!! I noticed that in both the sizes, toddler and child the stitches around the band are the same, 66 stitches. The bands have a difference of 1 1/2 inches, shouldn’t there be a difference in the number of stitches around? Thank you for sharing this awesome pattern. I’m confused………on both hats the pattern says 66 stitches around but yet the bands are a difference of 1 1/2 inches? Shouldn’t t there be a difference in the numbers of stitches around the band???? I used a larger hook for the child hat. maybe i’m missing something but both patterns say use the H hook. Did you mean to say a G for the Childs? Yes you are missing it. Right above the gauge, toddler uses 4.5 mm and Child uses H (5.00mm). Of course, use whatever hook you need to achieve the gauge. I’m having trouble with the gauge. Is it 8 st across =2 in? Abd is the gauge for the paid stitch or the ribbing? For neither, you will need to make a separate swatch. Ooo! Those pom poms though!! Did you buy them or make them? Well, with all the “Messy Bun Hats/ Ponytail Hats” around, I think we need one in your plaid series, which is beautiful, by the way.! That would be pretty cute!! Thanks! I’ve been checking in all week hoping you’d post this pattern. Thank you! I’m using some different yarn and hook so I know my gauge will be different. I’m thinking of going by measurement. Can you tell me how tall the hat is before you close it (Excluding the ribbed band)? You’re welcome! well both hats I have are already closed, but a rough estimate excluding the band is about 5 1/2″ for toddler and 6″ for kids. 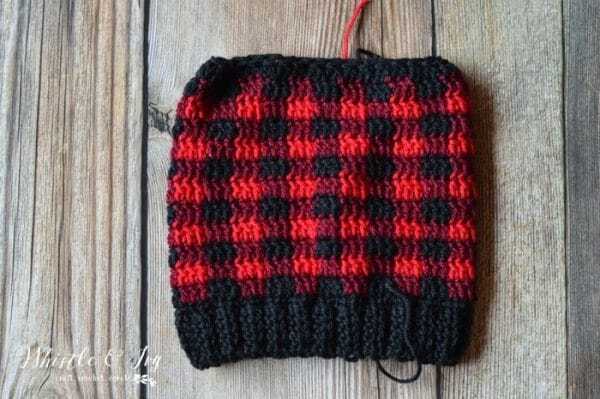 I am at the same point in mine, the pattern says rows 3-10 continue the plaid which would be 9 rows of plaid, but the pic looks like 11 rows of plaid before the dctog row??? The measurement also (for my gauge) implies 11 rows. Oh dear! Thank you for letting me know, I have no idea how that happened. I have corrected the pattern. Thanks for your patience! 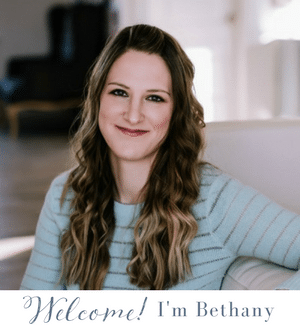 Hi Bethany , I absolutely love your patterns. i would like to make this hat for some neighborhood kids. But was just wondering, for what age group would you recommend this hat for? The toddler is for 18 months to 3 years, and the child would be about 4 – 10 years old.